Razer has announced two special edition versions of its Naga mouse - the Naga Maelstrom and Naga Molten. 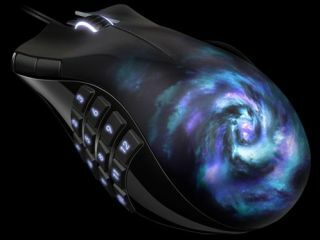 Gaming peripherals giants Razer are hoping that the special editions will sell as well as the original Razer Naga. "After the phenomenal response we received for the Razer Naga, we've decided to create two collectable versions to offer our fans even more ways to dominate their game," said Robert Krakoff, president, Razer USA. "We took the same functionality of full button remapping and macro capabilities of the original Razer Naga and rejuvenated the aesthetic design for a more immersive MMO gaming experience." Both of the mice have been given a UK release date of November 2010.